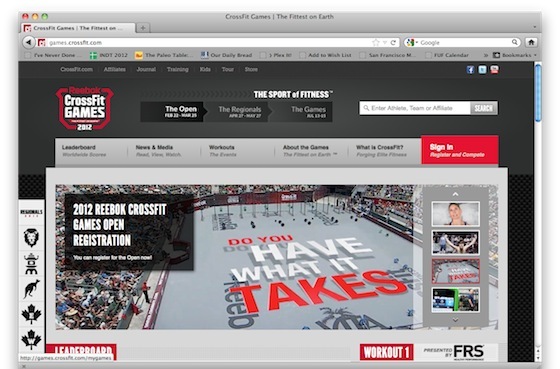 As I wrote about yesterday, the CrossFit Open has begun, and the first WOD is being performed all over the world today. 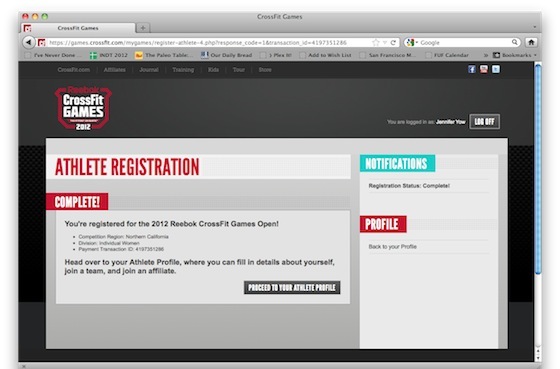 The CrossFit Games site keeps a leader board with scores from all the athletes participating, and the Open WODs are posted each week on the Games site and on CrossFit.com. Usually, Nick and I perform the Open WODs, but we’d never actually signed up for the Open. We always just kind of try to compare our scores with whatever’s been posted. We always figured we’d only really want to register if we thought we ever had a shot at going to at least a Regional competition, much less the Games. The only problem with not registering is trying to figure out how your standing would change based on your varied scores throughout the Open, as a really crappy score on WOD 1 would be tempered by an awesome score in WOD 2 and so on. 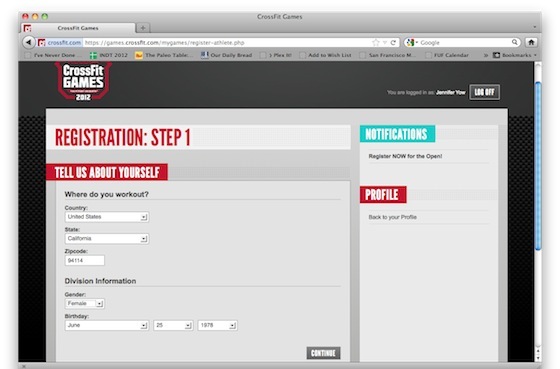 This year, I decided, “What the heck,” and thought I’d register for the Open. Pay the registration fee, and you’re all set! 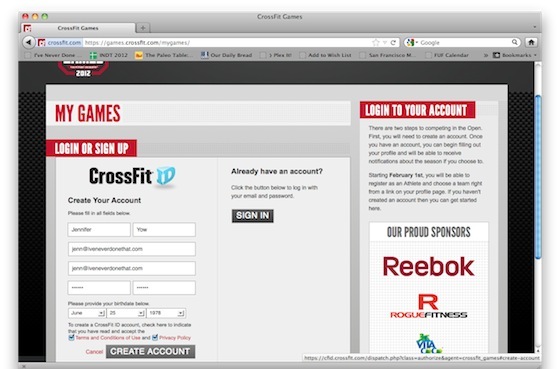 Now my embarrassing Open WOD scores will be posted for the world to see! The neat thing about registering for the Open is that I’ll be more inclined to give each WOD my all, and maybe even repeat some if I’m not happy with my original score (each WOD is posted on Thursday, and scores must be in by that Sunday to be official). I’ve never done THAT, either. Yuck!